A number of states were active in the early 1900s with soybeans. The agricultural experiment stations at Kansas and Massachusetts did the first lengthy crop studies and large scale field trials, and North Carolina led the US in soybean acreage and production until the early 1920s. Then in 1923 Illinois passed North Carolina in soybean acreage, and in 1924 in soybean production to become America's leading soybean state. A host of interrelated factors led to the meteoric rise of soybeans in Illinois, and to its dominance of the US soybean growing and crushing industries for the next half century. For example, through most of the 1930s, Illinois produced more than 50% of the nation's soybeans. Prominent among those factors leading to the crop's success were (1) vision and pioneering leadership in research and extension work, starting in the 1920s, by agricultural leaders at the University of Illinois, especially Burlison, Hackleman, and Woodworth; (2) the eminent suitability of the soybean to the climate and changing cropping systems of the state, and the continuous development of improved varieties; (3) pioneering leadership in soybean crushing, which first made the soybean a significant cash crop, by firms such as the A.E. Staley Manufacturing Co. in Decatur; (4) development of combines for harvesting soybeans in the 1920s by Illinois farmers and combine manufacturers; (5) an ongoing commitment to research and development on soybeans by various departments at the University of Illinois, agricultural leaders, and related crop improvement societies from the late 1800s up to the present. What else?? The story of the rise of soybeans in Illinois is a story of unusual foresight, unwavering belief in the soybean, and sustained hard work. Several brief histories of soybeans in Illinois have been given by Burlison (1945, 1956??). A longer, excellent review is given in Dr. R.W. Howell's "A History of Soybean Research at Illinois" (1973), upon which we have drawn heavily. These emphasize the role of the University and its research programs in the state's soybean development. The Early Years (1890s to 1919). Soybeans arrived rather late in Illinois. Introduced to North America in 1765 by Samuel Bowen in Savannah, Georgia (Hymowitz and Harlan 1983), and grown in Philadelphia by 1804 (Mease 1804), they were cultivated experimentally by a few farmers here and there east of the Mississippi for the next fifty years, especially in Massachusetts (Nuttall 1829; H. 1831) and Ohio (Ernst 1853). Any others?? After Admiral Perry brought two soybeans back from Japan in 1854, interest in the crop grew. A growing number of reports were published, especially on the East Coast and from 1854?? the U.S. Commissioner of Patents began to grow out soybeans and distribute them to interested farmers. In 1879 soybeans were first tested at an agricultural college (Rutgers in New Jersey; Cook 1879, 1881) and from the early 1880s they began to be tested by a number of state agricultural experiment stations, starting with Massachusetts ?? Tennessee (McBryde 1881), North Carolina (Dabney 1882), Kansas?? It is not clear why Illinois got off to such a late start in growing soybeans. Few (if any) soybeans were grown in Illinois prior to 1890, when J.C. Utter of Mt. Carmel, Wabash County, began production of his crop. Frank Hurrelbrink of Taylorville, Christian County, known because of his later development of the Hurrelbrink variety, began to grow soybeans in 1897. He grew them every year into the 1930s, experimenting with many varieties (Stewart et al. 1932). The earliest research on soybeans in the state was done at the University of Illinois at Urbana-Champaign. Founded in 1867, it has long been considered one of America's top agricultural universities, known for its long tradition of leadership in soybean research and its distinguished agricultural experiment station. The first research on soybeans in Illinois appeared in April, 1896, when the University of Illinois Agricultural Experiment Station published "Composition and Digestibility of Corn Ensilage, Cow Pea Ensilage, Soja Bean Ensilage, and Corn-Fodder" (Bulletin No. 43). Written by Cyril G. Hopkins MSc (a chemist at the Experiment Station) based on research initiated the previous year, it reported that "Soja bean ensilage resembles clover hay both in composition and digestibility. It furnishes an equal of protein, more fat, but less total energy than clover hay." The soybean ensilage was not eaten by the shorthorn steers as readily as the cow pea ensilage and it had a lower digestibility. In 1897 the Experiment Station published "The Cow Pea and the Soja Bean" (Circular No. 5). Written by Eugene Davenport, an "agriculturalist" and the Station's Director, it was Illinois' first article on the agronomic requirements of soybeans. The composition and digestibility of the two plants was compared, as was their value for green forage, hay, meal, and fertilizer. Seen primarily as a forage plant, the soybean was not given high marks: "The cow pea is more spreading, makes more hay and of better quality, because the soja bean, though very upright, has a woody stem and drops its leaves badly. The soja bean has been but recently introduced from Japan, succeeds best in the North and fails utterly in the far South." Concerning varieties, Davenport wrote: "The two common varieties of soja beans are the Black Medium and the Early White, or Improved White. Of these the first seems to give the ranker growth of vines and the latter the heavier yield of seed." John T. Smith (1940) recalled that 12 varieties were being grown experimentally at the University in 1897. Despite the university's luke warm appraisal of the new crop, W.H. Stoddard, a farmer and seedsman at Carlinville in West Central Illinois, soon became one of its earliest promoters. In December 1898, before the Macoupin County Farmers' Institute, he presented a paper titled "Soy, or Soja Beans, What They Are . . . How to Grow Them, and What They Are Good For." He said: "All intelligent farmers know there is an urgent need for a grain or forage crop other than corn. A crop rich in nitrogen and fat. A crop that can be grown easily, quickly and with little or no extra cost over that of corn." Stoddard accurately reviewed the nutritional value of soybeans, praised the good yields they gave him, and noted that his cattle and swine "fairly go wild" over soybeans, whether green or dry (Stoddard 1898; Howell 1973). Ralph Allen of Delavan, Tazewell County, began to grow soybeans in the late 1890s; he furnished seed beans to Illinois farmers as well as to interested people in other states, in Hawaii, and in Alaska. In about 1899 C.A. Rowe and his father of Jacksonville, Morgan county, grew soybeans (Stewart et al. 1932). Research on soybeans advanced slowly during the early 1900s. In 1903 D.S. Dalbey wrote "The Cowpea and Soy Bean in Illinois" (Experiment Station Circular No. 69). He reported that the soybean seeds (apparently fed in the uncooked, unground state) were "practically equivalent to linseed meal and other concentrated feeds. . . Soy bean grain is rich in the constituents that corn lacks and vice versa, so that the two combine to make a balanced ration for stock." Planting, cultivation, and harvesting procedures were recommended and results of the first variety trials at Illinois were reported. Of the eight varieties tested, Medium Green gave the top yields of 41.7 bushels per acre. Research on both cowpeas and soybeans continued, with the emphasis gradually shifting to soybeans. In 1903 the Agronomy South Farm was established on the campus. Soybeans were planted that year and have been grown every year since. The data accumulated from these decades of plantings have been used in various long-range studies. Soybeans were also planted on various other off-campus experiment fields, which had been established throughout the state in the early 1900s. During 1906-08 studies were initiated in three southern Illinois counties and tested for their response to various fertilizer treatments (Howell 1973). The importance of nitrogen-fixing bacteria, soybean inoculation, and nodulation came to be appreciated during the early 1900s. Publications on these subjects appeared in Experiment Station Bulletin 94 (Hopkins 1904, based on annual plantings on the University farm started in 1901) and Bulletin 179 (Whiting 1915). In 1910 Hopkins wrote a major book on soil fertility, and in 1915 (with Sachs) an article on "Radium as a fertilizer." Both discussed soybeans. In 1912 and 1915 soybeans were first grown on the famous Morrow Plots, being substituted for red clover when the latter failed. But they were not grown steadily on the Morrow Plots until 1967, when they replaced oats in a 2-year rotation with corn. Between 1915 and 1919 W.L. Burlison issued three publications which discussed soybeans; these will be described later. Other farmers started in the late 1890s ?? (Stewart et al. 1932). In the early 1900s a number of other pioneering Illinois farmers began to grow soybeans. These included Robert C. Morris (starting in 1903, in Richland County; Dalbey 1903), Russel S. Davis (1906, Adams County), Charles L. Meharry, C.H. Oathout, and William E. Riegel (1909 all? ?, Champaign County), John T. Smith (1910, Champaign County) (Stewart et al. 1932:443, Riegel 1944, Who else??) A number of these men helped to pioneer soybeans in other ways as well. In 1917 Meharry wrote an article for Orange Judd Farmer describing his 8 years of growing and harvesting soybeans, and predicting that they would become as much a staple as oats. Meharry, Riegel, and Smith did legislative work for soybeans in Washington, D.C. in the 1930s and were officers of the American Soybean Association and the Illinois Crop Improvement Association (Meharry 1930). After some years of experimentation, a few farmers in various parts of the State commenced raising a few acres. There were no mills for processing, no established markets of any kind. . . Yields raised from 5 to 12 bushels per acre. In most cases it was almost impossible to get a threshing machine to thresh the crop. Elevators refused to have anything to do with them. If you grew any beans, your only outlet was to sell them as seed for a hay crop. But things began to change in the late 1910s. The number of horses and mules on farms peaked in 1919 and then began a prolonged decline, as they were replaced by tractors, trucks, and cars. This decreased the demand for oats and hay, prompting farmers to look for a new crop. As early as 1915, farmers plagued by an infestation chinch bugs eating their corn, began to notice that soybeans planted with corn kept the chinch bugs away. And finally, the huge amounts of soy oil imported from East Asia during World War I, prompted oil mill owners in the Midwest to start experimental crushing of Illinois soybeans. The first tests were done in 1917 or 1918 by the Chicago Heights Oil Manufacturing Co., run by George Brett and I. Clark Bradley. Soybean acreage in Illinois began to grow. In 1914 roughly 2,000 acres of soybeans were harvested in the state in one form or another. Of these only 500 acres of soybeans grown alone; the rest were interplanted with corn or other crops (Hackleman et al. 1928; Windish 1981). That year the state's most widely grown variety was Ito San (also called Medium Early Yellow), followed by Midwest (Mongol), which was supplanted in 1920 by A.K. (Hackleman 1930). By 1917 some 6,000 acres were grown for seed and slightly more for forage and hay. In 1919 some?? 6,000 acres for seed were shown to yield 60,000 bushels, and an additional 7,000 acres were grown for forage and hay. But Illinois was still far behind at least three southern states (North Carolina, Virginia, and Alabama) in both acreage and production (Monthly Crop Reporter 1920). The 1920s. During this decade the soybean in Illinois rose from the status of a little-known crop to national stardom, as the state became by far America's leading producer. There were three main reason for the rapid growth of the crop during this decade. First was the pioneering work of three University of Illinois agronomists?? : W.L. Burlison (who worked at the university from 1912-1951), C.M. Woodworth (1920-1956), and J.C. Hackleman (1921-1956). Their contributions will be discussed individually below. Second was the rise of a soybean crushing industry in Illinois. And third was the rapid replacement by soybeans of oats and hay. A pioneer worker in soybean diseases was Dr. Benjamin Koehler, who went to the university in 1924. ?? and by 1919 alone and 30,000 acres for all purposes. Acreage then increased rapidly to 47,000 in 1920, 65,000 in 1921, leaping to 271,000 in 1922 and 540,000 in 1923. Of the latter figure, 218,000 acres were grown for seed alone and the rest primarily for hay and forage. In 1923 Champaign was the leading county with 25,000 acres grown for seed alone, followed by Shelby, Macoupin, Montgomery, Piatt, Christian, and Macon counties in that order. A major cause of this rapid acreage increase was a series of soybean demonstrations given by university extension workers (in cooperation with W. J. Morse) in seven counties starting in 1920, and reaching directly or indirectly an estimated total of 5,400 growers with one to three field meetings each year. The field meetings, which gave basic information about soybean varieties and culture, helped to standardize the varieties grown and eliminate the undesirable ones. In September of 1923, at the end of the year's work on soybeans, a general field meeting was held in Champaign County, with nearly 2,000 farmers from six states in attendance (Windish 1981). In 1924, Illinois passed North Carolina to become America's leading soybean producing state. In the early 1900s soybeans were thought to be a southern crop, not well adapted to the North. Piper and Morse in The Soybean (1923) presented a map, showing northern Illinois to be in the "poorly adapted" category. Work by the University and by Illinois farmers quickly disproved this theory, which helped to expand soybean production throughout the Corn Belt. An excellent discussion of early Illinois soybean production was given by Stewart et al. in 1932. From the founding of the American Soybean Association in 1920, the University of Illinois became a prime supporter. ASA growers' meetings were held on the university campus in 1921, 1930, 1937, 1944, and 1956. Burlison was president of the ASA in 1930 and Hackleman in 1937. A colorful and detailed account of the 1921 meeting titled "The Second Annual Corn Belt Soybean Day" was written by G.H. Dungan. The 1937 meeting consisted almost entirely of reports by staff of the College of Agriculture of the US Regional Soybean Industrial Products Laboratory. The establishment of this Soybean Laboratory at Champaign-Urbana in spring, 1936 was a major event in soybean history at the University. Made possible by the Bankhead-Jones Act (passed by Congress in June 1935 to establish regional agricultural laboratories), the Soybean Laboratory was a cooperative effort of the Agricultural Experiment Stations of the 12 north central states and the USDA. Representatives of all these institutions met in Chicago in early 1936 and decided to establish the laboratory at the University of Illinois. Based on the rapid growth of the soy oil/meal processing industry in the early 1930s, the laboratory was established to develop improved soybean varieties and to seek new and improved industrial uses for soy oil and meal. The laboratory was not a building but a program, fully integrated into the university and staffed by employees of both the University and the USDA?? This prestigious institution represented a sizeable step in establishing the soybean as a farm and industrial crop, and in establishing Illinois as the leading center of work in this field. The Laboratory's early directors were Dr. O.E. May (1936-37), Dr. R.T. Milner (1937-41), and T.H. Hopper (1941-42). In 1942 the Laboratory's utilization work was transferred to the Northern Regional Research Laboratory at Peoria, Illinois (see Chapter 38). The crop production responsibilities remained at the University of Illinois and the name of the laboratory was changed to the U.S. Regional Soybean Laboratory. Jackson L. Cartter became director, serving until his retirement in 1965. R.L. Cooper was in charge from 1967 to 1972 when the project was discontinued?? Another important event was the establishment of the northern branch of the US soybean germplasm collection at the university in 1949 as a result of the efforts of Martin G. Weiss and J.L. Cartter. The first curator was Leonard F. Williams (1949-51??). 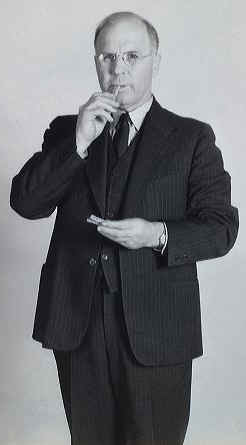 The curator from 1954 was Richard Bernard. Accumulation of germplasm for this collection had begun at Illinois in 1936. Today, the collection has attracted some of the nation's best soybean geneticists to the University of Illinois. During the 1960s the university took another bold step in inaugurating a cooperative soybean development program with India, the first such foreign program ever attempted by an American university. Highly successful, this effort led to the founding of the International Soybean Program (INTSOY) at the University of Illinois. As of 1981, INTSOY was doing some of the most innovative and important soybean development work in the world, as described in Chapters 38 and 44. In 1981 an estimated 90 members of the Illinois faculty and graduate students were actively involved in research related to soybean production. The USDA staff at the Soybean Laboratory consists of another dozen professional plus support personnel?? These three agronomists and soybean missionaries from the University of Illinois, each working on a different aspect of soybean production, played a key role in the growth of the soybean in America, and of Illinois as the leading soybean producing state. W.L. Burlison. If only two people had to be chosen as the prime movers in pioneering the development of the soybean crop and industry in the US, they would surely be William J. Morse and W.L. Burlison, head of the Department of Agronomy at the University of Illinois from 1920 until his retirement in 1951. Born in 1882 in Harrison, Arkansas, William Leonidas Burlison attended country school in Oklahoma. He received his BS degree at Oklahoma A&M College in 1905, and his MS at the University of Illinois in 1908. He joined the Department of Agronomy faculty in 1912, began to take an interest in soybeans in about 1914 (when they were a virtually unknown crop), and received his PhD from Illinois in 1915. A brilliant leader, educator, and researcher, Dr. Burlison was one of the first to recognize the potential of soybeans and become their sponsor in the heart of the Corn Belt. Much research and publication was inspired by his early "crusade" for the lowly immigrant plant. In March 1920 he became head of the agronomy department and in Sept. 1920 made his first major appointment, Dr. C.W. Woodworth (also a graduate of Oklahoma A&M), who became America's first major soybean breeder. Burlison was one of the organizers of the American Soybean Association in 1920; he served as secretary and in 1930 as president. In 1946 he and William Morse were the first two men to be chosen Honorary Life Members of the ASA. He was also a founding member of the National Soybean Processors Association in 1930. He was an active, long-time counselor to both Associations and helped promote fruitful and friendly relationships between them. Burlison was a leader in the development of industrial uses of the soybean. One of the first series of experiments by the University of Illinois Agricultural Experiment Station on the industrial uses of soybean products began in 1931. Directed by Burlison, the experiments led to a new method for using soy oil in paint; soon large quantities of soy oil were being used by paint manufacturers. His expanding vision and foresight into the commercial possibilities of the soybean led to the establishment of the US Soybean Laboratory in 1936 and its location on the campus of the University of Illinois. In the mid-1930s he wrote a number of articles about the soybean: "Recent Developments in the Utilization of Soybean Oil in Paint" (1935) and "The Soybean, a Plant Immigrant Makes Good" (1936). Burlison's interest in developing improved large-seeded vegetable-type soybeans was second only to his interest in industrial uses, and, again, he was a leader in this field. From 1935-1939 the Department of Agronomy did an elaborate series of studies on the vegetable-type soybeans (see Chapter 7). The results were published by Lloyd and Burlison in a 54-page report entitled "Eighteen Varieties of Edible Soybeans." In the next few years the Department sent out seeds to over 3,000 people around the world that were interested in growing them. In 1935 Burlison noted: "it is with renewed outlook for agriculture that the soybean has advanced beyond a substitute crop and has become the `Wonder Bean.'" Happy to see the success of his immigrant protege and of Illinois as America's leading soybean producing state, Burlison retired in 1951, and died peacefully at his home in Urbana on Christmas, 1958, at age 76. The vigorous research and extension program he inaugurated at Illinois, spanning more than 35 years, was a major reason for the soybean's spectacular achievements. The legacy he left the University continues to grow (Jordan 1945; Soybean Digest 1959). J.C. Hackleman. Extension agronomist at the University of Illinois, Hackleman has been called the "Soybean's greatest missionary" (Windish 1981). Jay Courtland Hackleman was born on 24 June 1888 on a farm near Carthage in Rush County, Indiana. He grew up on the farm, graduated from Carthage High School in 1906, and then from Purdue University in 1910, with a major in agronomy. In 1912 he received his MS degree from the University of Missouri; his work was in field crops and field pathology. He never received a PhD. At the University he was instructor of farm crops from 1910-1917, and Assistant Professor of Crops Extension from 1917-1919. In September 1919 he went to the University of Illinois, Department of Agronomy, as Assistant Professor in charge of crops extension. He was made professor in 1923 and served as Crops Extension Specialist until his retirement in 1956. He was widely known by his nickname, "Hack." Hackleman first began his work with soybeans in Missouri in 1915 (Dies 1942). At Illinois, he was the active force behind the soybean variety demonstrations given in seven counties starting in 1920 (described above), which were a major cause of the rapid growth of soybean acreage in that state. He was an excellent, forceful speaker. Dies (1942) wrote that "Sometimes he and Bill Morse would go barnstorming through the state for three weeks at a stretch. They held meetings where the tests were being demonstrated, sometimes three or four in a day. Many credit Hackleman more than any other single individual with the subsequent immense expansion (of soybeans) in Illinois. This early work was ably buttressed by Burlison, who later added great force to the movement." Three of Hackleman's main early priorities were to teach farmers the value of planting soybeans, help them to choose high-yielding varieties adapted to their climate and soil, and to show them how and why to inoculate the beans with Rhizobium bacteria before planting. In the first annual report of the activities of the Division of Crops Extension at Illinois, submitted 20 October 1920, Hackleman noted that "The Champaign County Soybean Club was organized in April and will have more than 10,000 bushels of Mongol and A.K. soybeans of good commercial stock ready for Illinois growers next year . . . The seed from these plots will serve as certified seed next year" (Windish 1981). In 1920 Hackleman was one of the founders of the American Soybean Association. He later served as its secretary and as president in 1937. He also helped to organize the Illinois Crop Improvement Association (ICIA) in 1922 when he called a committee together to form an organization for promoting the agricultural interests of Illinois, emphasizing those of crop improvement in general and seed improvement in particular. He served as secretary-treasurer (without remuneration) from 1922-1937, then served as chairman of the advisory committee until 1956. The Association was influential in stimulating the growing and dissemination of pedigreed seeds (usually developed at the University) throughout the state and in helping to maintain the purity of new varieties. In 1928 Hackleman was senior author (with Sears and Burlison) of "Soybean Production in Illinois," the university's most important publication on the subject to date. Also in 1928 he played a key role in formulating the Peoria Plan (see Chapter 3). In 1941, through the ICIA, he and the university started the Illinois Soy Bean Contest, which allowed growers to compete for top yields. This proved to be a most valuable and enduring idea, still today stimulating interest and improvement in professional soybean growing. In 1945 Ref??) wrote "Increase of Rowed Beans," noting the trend away from solid-seeded soybeans for hay and forage. After the war, his extension work changed from having to sell farmers on soybeans to providing them with the most recent research information and, as always, the best seed varieties. In 1947 Hackleman was named Honorary Life Member of the American Soybean Association, being one of the first five people to be so honored. The presentation of the award read, "Tonight the agricultural world recognizes in Mr. Hackleman an authority on the general subject of soybeans that can scarcely be surpassed in this good land of ours. The contribution he has made to his adopted state of Illinois and to the soybean industry can in no wise be estimated." Upon retiring from the university in 1956, he joined the staff of the Illinois Crop Improvement Association, his first love, as public relations officer, a task to which he devoted considerable energy. In 1966 the ICIA established a soybean research fund, which was later named the J.C. Hackleman Award. Its supported studies on soybean seed quality, with emphasis on disease resistance. With his death on 15 April 1970, at age 81, Prof. Hackleman left an enviable legacy of service and leadership to future generations of soybean growers and researchers. He was a man of very broad acquaintance held in unusually high regard by all who knew him. His files are rich in early lore. C.M. Woodworth. America's leading early soybean breeder and first soybean geneticist, Dr. Woodworth developed the Illini, Chief, and Viking varieties, helped with Lincoln, and did basic research that laid the foundation for later soybean breeding and genetic work. USDA in Washington, D.C. from 1912-1913, Assistant and Instructor in the Department of Genetics of the University of Wisconsin from 1913-1919, and Assistant Plant Pathologist at the USDA Bureau of Plant Industry from 1919-1920. He was invited to Illinois in 1920 by Prof. Burlison, as Assistant Professor of Plant Breeding, becoming Associate Professor in 1923 and Professor in 1929. His title was changed to Professor of Plant Genetics in 1931. Described as "a quiet, sincere, modest, tireless worker" and as "shy and retiring," Dr. Woodworth established a brilliant record at the College of Agriculture and at the Agricultural Experiment Station prior to his retirement in 1956 (Windish 1981). With the arrival of Dr. Woodworth at the University in 1920 an active soybean genetics and breeding program began. Prior to this time selection of improved varieties had produced Ilsoy in 1913. Woodworth selected Illini in 1920; it was introduced into demonstration plots in 1924 and released in 1926. In 1929 Woodworth announced the Illini soybean in Agricultural Experiment Station Bulletin 335 by 1930 it occupied three-fourths of the commercial soybean acreage in Illinois, rapidly replacing Manchu, which had occupied two-thirds of the commercial acreage in 1927. Illini soon became the most widely grown variety in the Midwest. Woodworth terminated old projects based on selection and initiated new ones based on hybridization. In 1921-22 a new project to breed for high and low oil was started. A low oil bean would be richer in protein. In the early 1930s Woodworth developed the Chief variety, which largely supplanted the Illini. In 1932 he published the first known list of soybean genes (showing about 35) and chromosome charts identifying three linkage groups (Howell 1973). Woodworth was a real pioneer in this area. His colleague Dr. E.A. Alexander later wrote "Unquestionably soybeans would not have become the important crop they became so soon without his influence . . . He brought with him the experience and the breeding material that made the prompt development of Illini possible. Whether others were as able, or as imaginative at that time is problematical" (Windish 1981). Woodworth and his graduate student Leonard Williams had a large part in developing the Lincoln soybean, released jointly by the University and the US Regional Soybean Laboratory in 1941. At one time it was the most widely grown soybean variety in the Corn Belt. In addition, he guided 39 graduate students to their PhD degrees, was the author or joint author of 52 scientific publications on plant breeding and genetics, was a member of many distinguished societies, took an active part in organizing the Illinois Crop Improvement Association and the Illinois Seed Producers Association, and was an Honorary Life Member of the American Soybean Association (1948) and the Illinois Seed Dealers Association. Dr. Woodworth retired in August 1956 and passed away on 23 May 1960 (Howell 1973; Windish 1981).